The way the hands connect to each other on the golf grip can vary along three main variants. 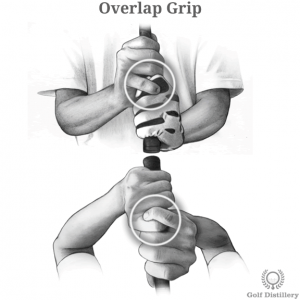 The Overlap (Vardon), Interlocking and Baseball grips are explained below. First the grip that is used the most frequently by golfers around the world. Indeed, the Vardon grip – or overlap grip – is used by 90% of Tour players and an overwhelming majority of amateur golfers around the world. It is so named after the famous British golfer that was the first to promote its benefits and win major tournaments with it, Harry Vardon. In the overlap grip, both hands are connected through the left pinky finger which will lie on top of the depression between the left hand’s index and middle fingers. As such, the right hand will stay in close contact with the left thanks to this anchor. The long fingers and strong hands associated with adult male golfers are most suited for this type of grip whereas children or golfers with relatively small fingers would likely benefit from different types of grips. The second most widely used grip in golf is the interlocking grip. This type of grip will again see both hands connect to each other through the right hand’s little finger and the left hand’s index finger. But in this case, those fingers will cross rather than sit one on top of the other. Indeed, as its name suggests, both hands will be held securely close to one another thanks to this locking position. The interlock grip is famously the grip type that is used by Jack Nicklaus. And because it was utilized by his golf hero when growing up, Tiger Woods also adopted it. While it is more true for the former than the latter, the interlock grip is quite useful for golfers with smaller than average hands and fingers. Indeed, an overlap grip requires somewhat long fingers to allow for the pinkie to act as a solid anchor. 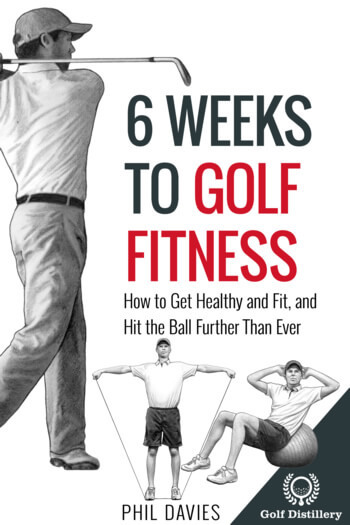 If the pinkie is not long and strong enough the golfers risks seeing it slip out of position during the golf swing, rather than staying securely in place. Finally we have what is called the baseball grip. Similarly to the sport that gave its name, this grip will see both hands pressed against each other on the grip. 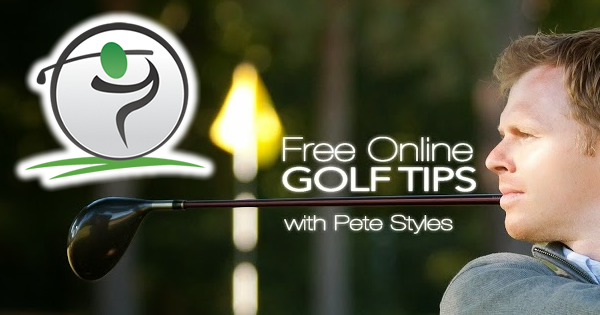 However, in contrast to the other types of golf grips, no anchor will link them at all. Indeed, rather than sitting on top of other fingers or crossed with the index finger the right little finger will simply lie next to the left index finger, pressed against it. 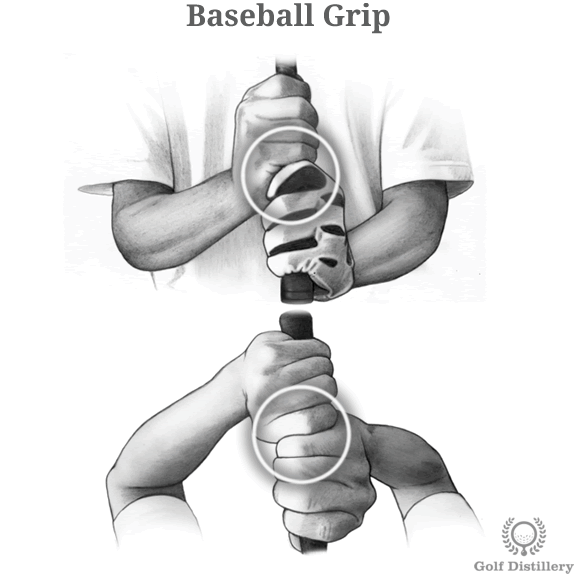 This type of grip is usually adopted by young children as they begin swinging the club for the first times. Indeed, such a grip comes quite naturally to children – or anybody for that matter – which allow them to focus on other areas of the golf swing. 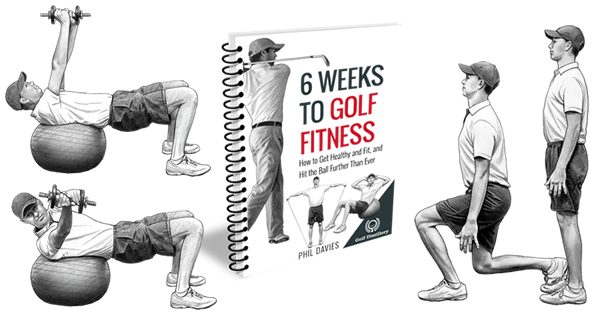 It is also used by senior golfers who have difficulties wrapping their hands around the club using any other technique, perhaps because of flexibility issues or pain in their fingers. Why Grip Type Should You Use? The short answer to this is to use the one that feels more comfortable and the one that gives you the greatest confidence going into a shot. It might be a good idea to try them from the most popular type to the least. As such, you could try with the overlap grip, then move on to the interlocking grip and finally into the baseball if none of the above are working out for you.